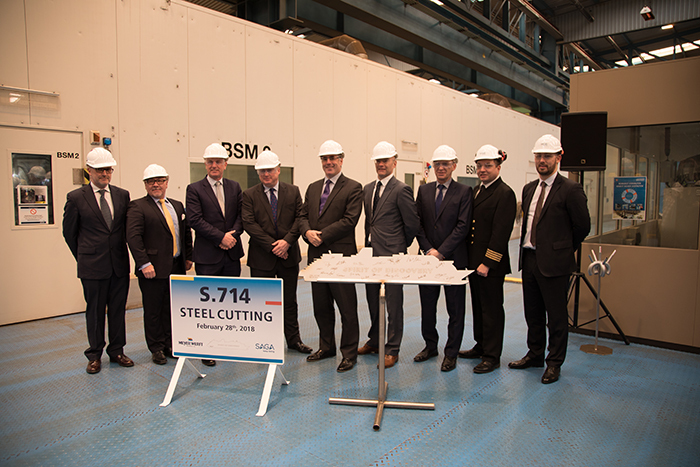 A steel cutting ceremony has been held for Spirit of Discovery to mark the construction of Saga Cruises’ first boutique ship. Speaking at the event at the Meyer Werft shipyard in Papenberg, Germany, last week CEO of Saga Travel Robin Shaw said: “Today marks a special moment in Saga Cruises’ history – the first steel cutting of Spirit of Discovery which importantly is the only new small cruise ship being specifically built for the UK market”. The new vessel is due to start sailing from Dover in July 2019 and is the first of two ships being built by Saga Cruises. Also at the ceremony, a selection of mock-up cabins from Spirit of Discovery was revealed for the first time. An example of the ship’s standard cabin, a deluxe cabin and two crew cabins were showcased to attendees. 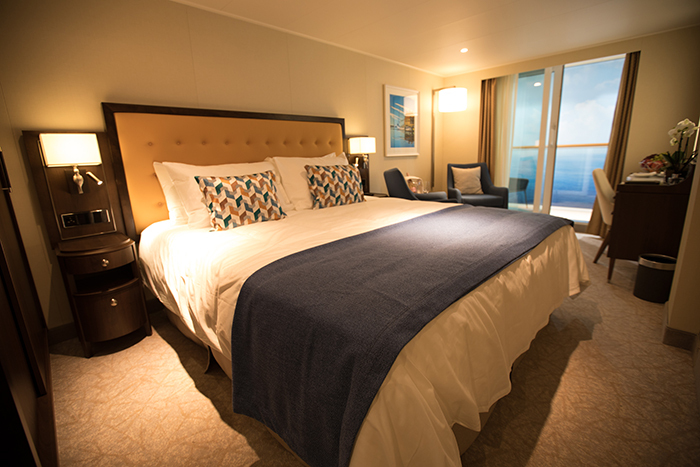 David Pickett, Saga Cruises’ New-Build Director, said: “A huge amount of thought and detail has gone into the design of Spirit of Discovery’s cabins, including the implementation of feedback from our customers. 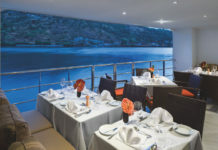 Saga Cruises’ first new ship Spirit of Discovery will replace Saga Pearl II in July 2019 while Saga’s second ship, Spirit of Adventure, is planned to enter service in 2020. Spirit of Discovery will host 999 guests and 530 crew members. 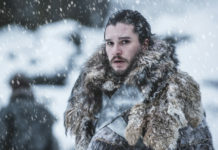 It will sail from Dover in July 2019 with itineraries featuring the Channel Islands, the Norwegian Fjords, the Baltic and the Mediterranean. In the autumn it will sail from Southampton to destinations including the Canaries and a Christmas cruise to New York. For more information, visit saga.co.uk/cruiseint.